New tires F&R all brake calipers rebuilt; new brake pads; new fork seals; new front brake master cylinder; gas tank professionally cleaned and lined; headers, water pipe re-chromed; new water pump seal; new electro-magnetic fan switch; fresh white paint. This bike is not perfect; that was never my goal. But she appears sound mechanically and comes with a collector plate for cheap insurance. 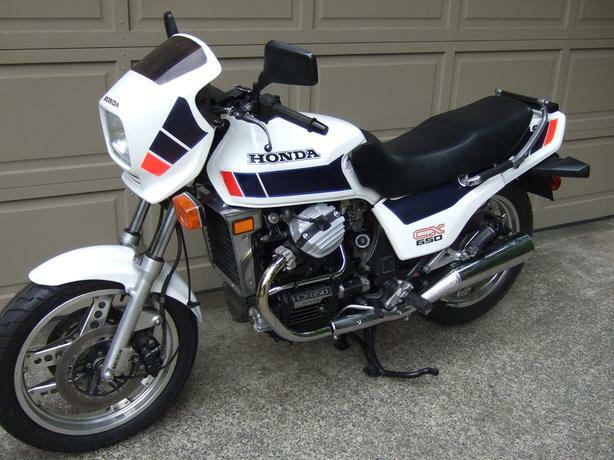 Extra motor (complete, runs, but needs work); gasket set; radiator w/electric fan; seat; gas tank; rear shock; front fork springs; various electrics; ignition switch; two Keihin CV carburetors; three shop manuals; carb. service handbook; starter motor; rear tail light mount & tool box; decals.